January 14, 2019 – Boulder, CO – A new report from Navigant Research analyzes the global market for emerging residential energy and non-energy solutions, examining key market drivers, barriers, trends, and business models. Historically, residential customer relationships with utilities have consisted of transactions to ensure the delivery of reliable power to the home, or to address challenges such as the loss of power or rate change inquiries. But today, the global electric power industry is undergoing a transformation poised to disrupt traditional residential utility business models while creating new opportunities for residential utility customers. Click to tweet: According to a new report from @NavigantRSRCH, the annual global market for the deployment of residential energy and non-energy solutions is anticipated to grow from $6,389.2 million in 2018 to $35,580.2 million by 2027. According to the report, residential utility customers stand to benefit from the move by utilities toward customer solutions and the move by energy suppliers and technology providers into new home energy and non-energy solutions markets. These organizations can help customers increase control over their home energy and non-energy solutions, while making interactions with their home more convenient and resilient at the confluence of the DER and smart home technology market. The report, Market Data: Emerging Residential Energy and Non-Energy Solutions, analyzes the global market for emerging residential energy and non-energy solutions. These new customer solutions include the following categories: DER, community energy, smart home/home energy, mobility, and lifestyle and care. The study examines the key market drivers, barriers, trends, and business models related to utility residential energy and non-energy solutions. Global market forecasts, segmented by solution and region, extend through 2027. An Executive Summary of the report is available for free download on the Navigant Research website. Navigant Research, the dedicated research arm of Navigant, provides market research and benchmarking services­­­­­­­ for rapidly changing and often highly regulated industries. In the energy sector, Navigant Research focuses on in-depth analysis and reporting about global clean technology markets. The team’s research methodology combines supply-side industry analysis, end-user primary research and demand assessment, and deep examination of technology trends to provide a comprehensive view of the Energy Technologies, Utility Transformations, Transportation Efficiencies, and Buildings Innovations sectors. Additional information about Navigant Research can be found at www.navigantresearch.com. 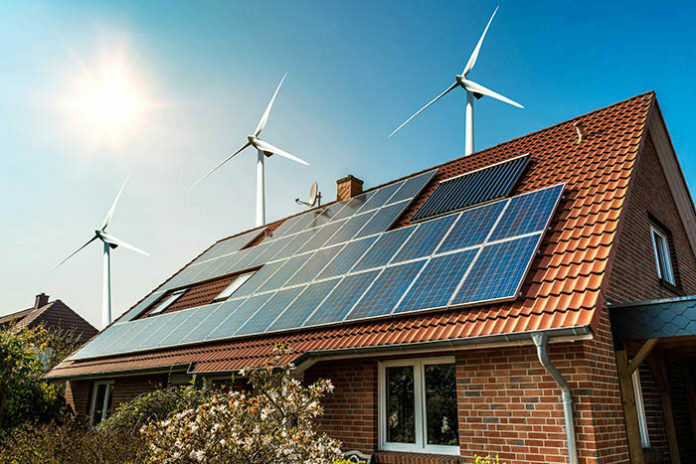 * The information contained in this press release concerning the report, Market Data: Emerging Residential Energy and Non-Energy Solutions, is a summary and reflects Navigant Research’s current expectations based on market data and trend analysis. Market predictions and expectations are inherently uncertain and actual results may differ materially from those contained in this press release or the report. Please refer to the full report for a complete understanding of the assumptions underlying the report’s conclusions and the methodologies used to create the report. Neither Navigant Research nor Navigant undertakes any obligation to update any of the information contained in this press release or the report.